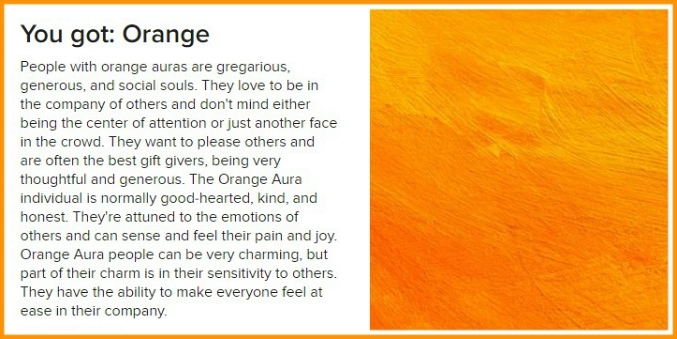 Interesting, that you got orange. That fits you and someone else I know. I got blue which says it is rare. Most of it does fit me.